A celebrity’s sister may or may not have been harassed last week; and naturally, the male half of social media pushed its way to the front of the line to share its opinion. 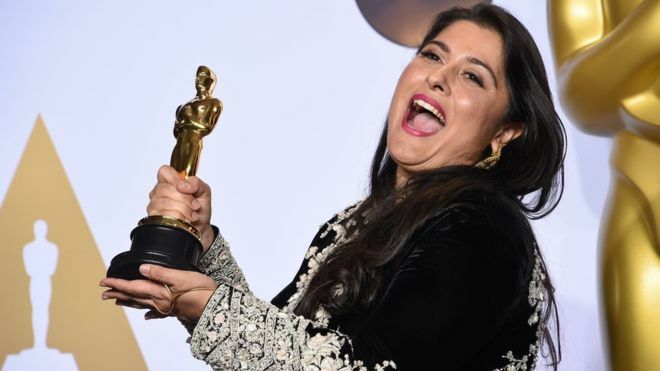 Over the last week, the social media has found itself bitterly divided over Sharmeen Obaid Chinoy’s tweets. Her sister had visited the emergency unit of Agha Khan University Hospital (AKUH), following which she received an unsolicited Facebook request from her doctor. Sharmeen deemed it ‘harassment’ in one of her tweets, and said something that’s been widely interpreted as flaunting her class privilege. 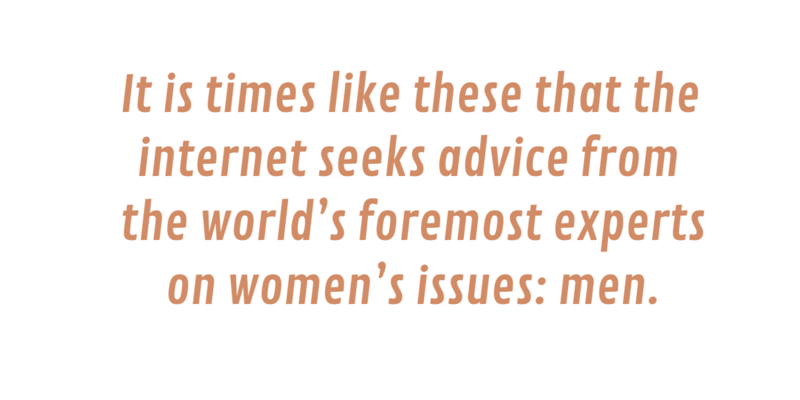 It is times like these that the internet seeks advice from the world’s foremost experts on women’s issues: men. It is difficult for me to imagine being a woman, and watching those with virtually no experience living inside female skin, pretending to know all that there is to know about women’s sociopolitical lives; how they operate, how they think, and above all, how they should think. 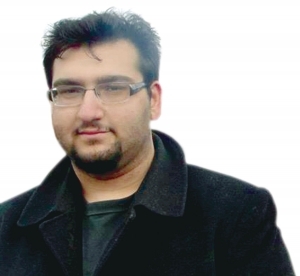 Imagine a conference on the struggles of ordinary Kashmiri people in Indian-occupied territory, one of the most densely militarized regions in the world. And imagine a thousand non-Kashmiri Indian citizens flooding the hall, shoving their way forward to the stage to tell their story; yanking the microphone from a Kashmiri to give their valued opinion on what it’s like living in AFSPA-ridden Kashmir. Any attempt to discredit their opinion would then be viewed as an affront to their freedom of expression, or worse, discrimination against non-Kashmiri Indians. This, I expect, is how the social media chaos might have appeared through the eyes of a woman; a woman under siege by male experts crawling out of every nook and cranny of the internet to tell women what sexual harassment ‘actually’ is, and how they are supposed to respond to it. Indeed, one may comment on the irony of me seemingly attempting to do the same, but I have no intention of informing the ladies on how to conduct their affairs. My opinion is aimed squarely at men, urging them to stand down. I have been asked several times by friends and followers on social media over the past few days, what I think of Sharmeen’s claims. Does her sister’s experience, as stated in Sharmeen’s tweets, actually amount to sexual harassment? Here’s the answer: I cannot say. For one, it is entirely possible – or I’d say ‘probable’ – that Sharmeen has not tweeted the full detail of her sister’s medical history and her interaction with her doctor. Quite often, cases of sexual harassment cannot be summed up in 140 characters or less. Sharmeen does not owe the Pakistani male a complete situation report for the purpose of a Facebook tribunal. In many cases of sexual harassment, the bare detail of what he said or what he did, is often insufficient. A lot depends on how it was said, when it was said, or why it was done. Anything from the tone of the voice to the time of the day can impact how the victim felt about a particular interaction, and she cannot always point to one detail to justify feeling harassed. Was Sharmeen’s sister really sexually harassed? I do not know. I wasn’t there. What I do know is that sexual harassment is excruciatingly common, and the victim of harassment has a higher chance of being ignored or outright mocked, rather than being taken seriously. Many male tears have been shed over the dismissal of the male doctor, but few realize how many women are forced out of their professions every year due to workplace harassment. The outrage is nothing if not disproportional. Whether sexual harassment actually occurred in this case, is a discussion best left to women; because it is women who would best understand what sexual harassment looks, sounds, and feels like. My opinion on the matter has little value. I may not be able to comment on whether Sharmeen’s sister’s experience amounts to ‘sexual harassment’. As a doctor, however, I claim some agency in talking about medical ethics. I recommend that all Pakistani male doctors who find nothing wrong with sending unsolicited friend requests to their female patients, should stay clear of PLAB or USMLE exams (for license to practice medicine in the UK and the US respectively), because they are all set to fail the ethics section of their test. As a doctor working in the UK, sending a friend request to a patient I have just seen in A&E, is guaranteed to lead to the most unforgiving investigation, should the patient file a complaint. Heads would roll. The fact that the so many Pakistanis, including medical professionals, find nothing wrong with this behaviour, is testament to our ignorance about professional boundaries between doctors and their patients. And more worryingly, though not unexpectedly, men’s eagerness to tutor women on what they should or shouldn’t count as sexual harassment, is clear indication that there is much more to be done on the road to gender equality.